The Blog Should I Have An Umbrella Insurance Policy? You might think you have all the insurance you need because you have an auto insurance policy and you have your house and possessions covered by homeowners insurance. But given how hard you’ve worked to get you house and cars, you may want to get additional protection ion the form of an umbrella policy. Simply put, umbrella insurance is additional liability that sits on top of your existing auto and homeowners policies. It protects you from major claims against you that exceed the limits of your auto and homeowners policies. If you own a boat, umbrella insurance can protect against claims that exceed your boat insurance. 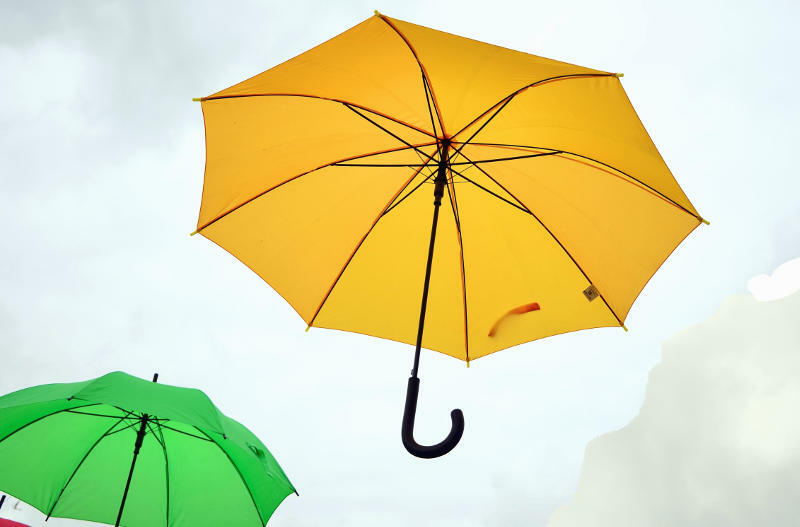 “An umbrella policy is probably the best value of any insurance because it offers a great deal of protection at a low cost,” says Scott Hartzell, president of Hartzell Insurance Associates. An umbrella insurance policy can protect you in two ways. It provides additional liability coverage above the limits of your auto, boat or homeowners insurance. Umbrella insurance kicks in when you reach the liability limits of your other policies. Let’s say you have auto insurance with a $300,000 limit. A lawsuit against you results in a $650,000 judgement. Without an umbrella policy, your car insurance would pay the first $300,000 of the judgement but you’d be on the hook for the remaining $350,000. If you had a $1 million umbrella policy, that policy would pay the $350,000. Umbrella insurance can provide liability coverage for claims that may not be covered by your other insurance policies. That can include claims for things such as slander, false arrest, liability at any rental units you might own, and other personal liability situations. A serious auto accident that is your fault. Harm to another person caused by your dog. Injuries suffered by someone who falls or has an accident in your home. Injuries suffered by another person on your property, such as a child who is injured playing in your yard. Property Damage Liability. Umbrella policies cover any claims against you if you damage property that belongs to someone else. For example, you could have a judgement against you if you are sued for damaging another person’s car or property if you are at fault in a car accident. Landlord Liability. If you own rental property, an umbrella policy can protect you from loss or liability caused by your tenants, or if you are sued by your tenants or visitors to your rental property. For example, if a visitor to your tenant trips on a crack in your sidewalk and falls, umbrella insurance would protect you if they sue your for their injuries. Business Losses. A personal umbrella policy would not typically cover losses incurred by your business or damage to your business equipment and property even if you have a home-based business. Personal Property. Umbrella policies do not typically cover loss or damage to your personal property. For example, if you live in a townhouse and your home catches on fire, the damage to your home would be covered by your homeowners insurance, not your umbrella policy. However, if the fire also damaged your neighbor’s townhouse, damage to their property could be covered by your umbrella policy if the damages exceeded the coverage limits of your homeowners policy. Intentional or Criminal Acts. Personal umbrella insurance will not typically will not protect you from any losses incurred because of intentional or criminal behavior. For example, if you are convicted of a criminal act, umbrella insurance will not cover any restitution you may be ordered to pay. Contracts. Umbrella insurance does not cover any losses or liabilities you may incur because of a contract. So if someone files suit against you over a contract, it is not likely that an umbrella insurance policy would protect you.